Travel tips - De website van gandongtours! When traveling to Maluku you have to have a passport that is valid at least 6 months after departing from Indonesia. A visa is required, in case your residence is 30 days or less you can obtain a visa on one of the international airports in Indonesia. The costs are 10 USD for a visa for 7 days and 25 USD for a visa to 30 days. You are required to pay this cash, this can be either in euro's or dollars. If you exceed staying 30 days, a visa before arrival is necessary. This visa can be requested at the Indonesian Embassy in Brussels or The Hague. Arranging a visa can be difficult and time consuming, and it takes often 14 to 16 days. Therefore it is important to not postpone it until last minute. Keep in mind when departing from Indonesia you must pay a departure tax. Maluku has a tropical rainforest climate. In the southern Maluku islands the climate seasons are opposite in comparison to the rest of the Indonesian islands, where most rain falls between March until October. Travel is still possible during this time, but the seas can be more rough making travel by small boats less regular, and conditions for diving and snorkeling are less than ideal. The best traveling season is therefore between October until March. But during all seasons, local wind patterns around Maluku can also affect the temperatures, with winds and breezes often bringing humidity from the Indian Ocean, along with high pressure. But whatever the time of the year, or part of the island that you are staying, you can be sure that temperatures will always stay between 25 and 35 degrees. 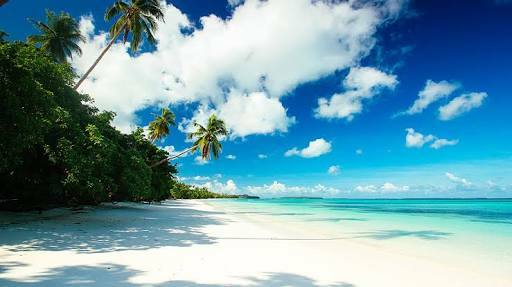 This makes these islands an ideal destination during the winter months, while the rest of Indonesia has her wet season. Indonesia has different time zones, below are the most relevant time zones for traveling to Maluku. Maluku: UTC +8 hours (wintertime), UTC +7 hours (summertime). Vaccinations are not required for Indonesia but are recommended. Generally this will be vaccinations against DTP (diphtheria, tetanus, polio), Hepatitis A and Typhoid fever. Beside that, malaria prophylaxi (Malarone) is now often recommended for traveling to Maluku. Since the recommendations for vaccinations change often, it is advisable to always contact you GP, Public Health Service or other authority for the latest and correct information. Start on time, about 4 to 6 weeks before departure, as vaccinations normally need to be taken 2 weeks before the trip. In Indonesia traffic drives on the left side of the road. The currency in Indonesia is the Indonesian Rupiah (IDR). In Indonesia you can exchange euro’s into rupiah at the international airports and at hotels, post offices and banks. Yet it might be useful to exchange some rupiah's in the Netherlands already. Pin money is possible with a Maestro, Cirrus or MasterCard logo at many places. However it is advisable to take enough cash money with you when visiting the more remote islands, as ATM services are more limited. Credit card are generally accepted in the larger cities (like Java or Bali). Outside it is often a lot harder to use your credit card payment. In Indonesia you can also exchange travelers checks at international airports and at hotels, post offices and banks. Travelers’ checks in U.S. Dollars and Euro's are taken the most common. In Indonesia the same plugs and electric points are used as in the Netherlands (220V / 50Hz). The land code (land number) to call to Indonesia is 0062 or +62. If you have to call from Indonesia to the Netherlands then use 00131. (In case of using a country code you first need to omit the 0 of the number you would like to call).